The problem with CBD oil is that it’s extremely inefficient. Oral CBD has an absorption rate of approximately 6% and blood levels never get that high regardless of the dose [R]. That’s why prescription CBD doses are high, often over 150mg. Consumer CBD products are often sold in < 50mg doses that that may be insufficient for severe pain, PTSD, schizophrenia or other debilitating mental health conditions. A 2010 study published in the Journal of Drug Development And Industrial Pharmacy that found that CBD was absorbed intranasally (up the nose) within 10 minutes with a bioavailability of 34-46% [R]. That’s approximately 6 to 8x more potent, per milligram, than oral! I looked into CBD nasal sprays and found Nasadol. The company’s website is a paragon of CBD marketing & copywriting excellence. While I didn’t particularly love the idea of spraying CBD up my nose, I hate to think of my readers taking harsh, addictive prescription drugs without being aware of potential alternatives… so I decided to try it. 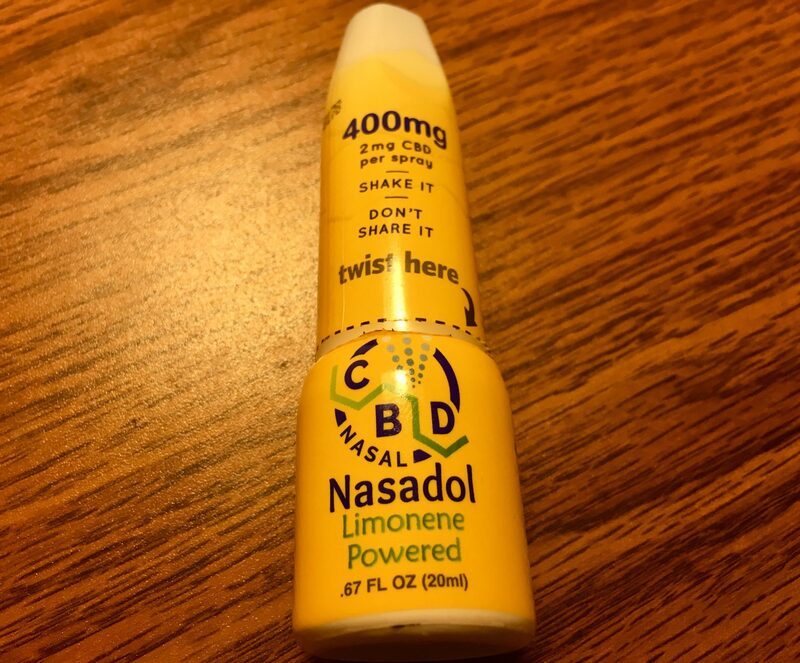 Nasadol comes in two sizes: a 200mg bottle delivering 1mg of plain CBD isolate per spray, and a 400mg bottle that delivers 2mg of CBD (enhanced with limonene) per spray. The 400mg version I got comes in an attractive yellow bottle that is 4.25″ tall and a little over 1″ wide at the base. It opens and closes securely, without leakage, for pocket or purse carry. Shake the bottle the first time you use it and prime the pump until a fine mist comes out. Tilt your head forward and breathe out through your nose. So don’t snort it! If you’re gonna do it, do it right. While you don’t taste it on your tongue, you do get an “flavor” sensation in your nose and soft palette (back of the throat). If you use it exactly according to the directions it doesn’t “drip back” and the scent and taste is mildly lemon-ey – you just feel a little squirt of liquid in your nose, like the tiniest hint of a sniffle. If you sniff it too hard you really experience the essence: lemon mixed with a funky, coconut-chemical “off flavor” that is a bit yucky. Around the 10 minute point it really kicks in. I notice visual brightening, a powerful feeling of relaxation, an even-keeled mood enhancement with a slight euphoria that likely comes from the added terpene limonene. Nasadol has a sativa-like effect with a slightly brisk, upbeat vibe. But it doesn’t seem to overstimulate or keep me awake at night and I consider it suitable for evening use. It’s far stronger than oral CBD oil and vaping, and probably stronger than nanoemulsified CBD. It has a more potent & cleaner effect than hemp flower. The first weekend I was testing it out I went to see a local reggae band. The effect was stronger than I had ever felt from CBD before: I felt extremely relaxed and uninhibited while dancing. I felt a deep sense of healing and relief – and each step of my dance was like celebrating my freedom: freedom from stress-related illness symptoms. I was dancing “goodbye” to the anxiety, depression and ahedonia that I suffered for many years before I discovered CBD. It’s also good for pain relief. A couple weeks ago I threw my back out (an intense, excruciating muscle spasm in my lower back) when bending over. The Nasadol helped take my mind off the pain significantly, although it still felt quite tender whenever I bent or moved it the wrong way. According to a scientific study, nasal CBD is best for relief of intense ‘breakthrough’ pain and transdermal CBD is better for chronic pain. Combining CBD nasal spray with transdermal cream is one way to control serious pain without the risks of opiates or addiction [R]. I find the effect doesn’t noticeably or sharply drop off – it just gently fades away. If I use it two to three times a day I’ll feel fully medicated. It lasts noticeably for about 5 to 6 hours. 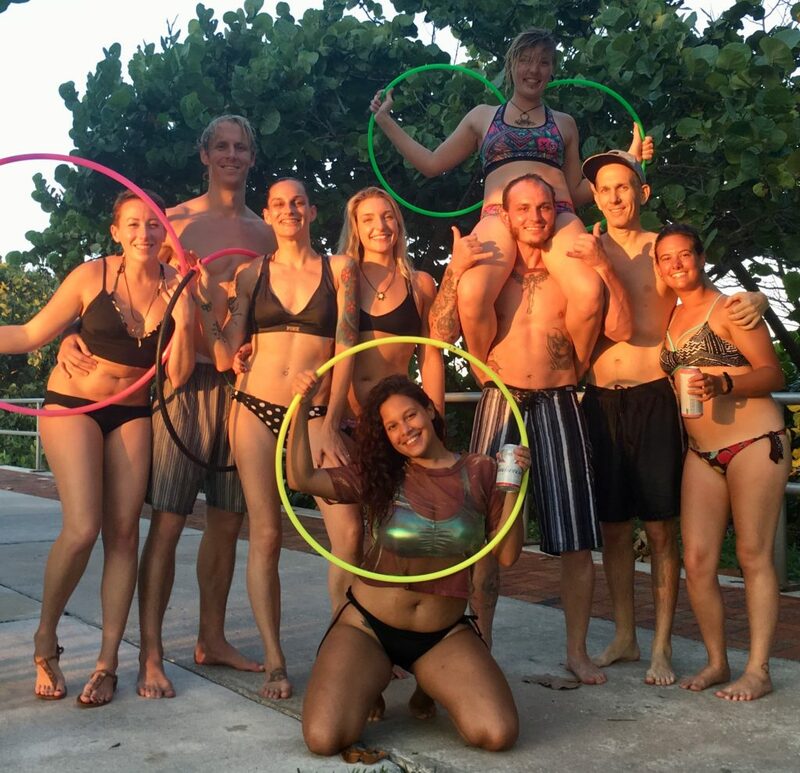 Recently I’ve been learning flow arts: juggling, poi spinning, acro yoga. They require being in a fully present, unstressed and grounded state of mind. Before discovering CBD I was pretty bad at them, due to self-consciousness and overthinking. But since I’ve discovered highly bioavailable CBD (like nanoemulsified and nasal spray) I have had better coordination and have generally been more relaxed, social and had more fun. Oral CBD oil is easy to make at home but it’s difficult to make a good CBD nasal spray. CBD doesn’t dissolve in water, only oil — and oil doesn’t spray easily. Nasadol uses MCT oil as a carrier and emulsifiers to make a water-compatible, viscous suspension that can be sprayed into an ultra-fine mist. Nasadol likely uses nano-emulsification or similar technology to achieve this. 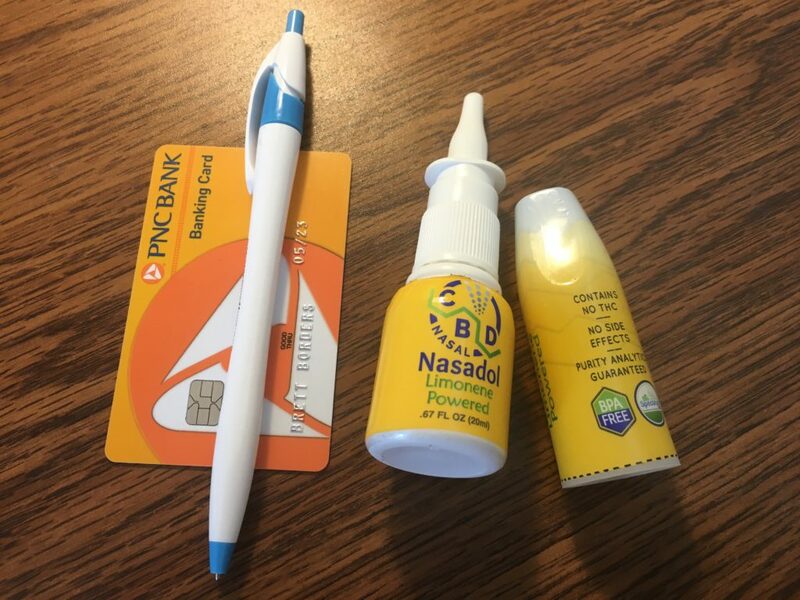 With CBD nasal spray, it’s better to buy professionally-made. Listed Ingredients: 400mg CBD isolate, limonene, saline, organic coconut MCTs, polypropylene glycol emulsifier, potassium sorbate. Cannabinoid content: The company posts fairly recent test results from a reputable 3rd party lab showing this product contained 24.38mg/mL CBD — which means it would have more than promised, or 487mg per bottle. The lab results show it contains no cannabinioids other than CBD, and no detectable levels of THC. The 200mg bottle contained much closer to 200mg. Other than the inexact dosing, my gut sense is that this is a trustworthy and professionally manufactured product. There is a lot of attention to detail in the product design and marketing that inspires confidence that the company — headed by an M.D. CEO — understands CBD pharmacology and is trying hard to get it right… even if they aren’t perfect yet. This product retails for about $47.99 for a 20ml (.67 FL OZ) bottle containing 400mg of CBD. There are 2mg per spray, so that should make 200 sprays per bottle. If you used it as directed (one spray per nostril) 3x per day – it would add up to 6 sprays per day. At this rate the bottle would last for 33 days. $47.99 / 33 = $1.43 per day — or $43.58 per month. This makes it significantly cheaper than Quicksilver Scientific Nanoemulsified CBD – which is my go-to favorite. But for aesthetic reasons (taste, sensation, discreetness) think I am going to take the nanoemulsified CBD for regular use — and save Nadasol when I need a burst of extra-strength relief. This is an affordable option for extra-strength pain relief, chronic inflammation or persistent mental health conditions. To get to anything close to this strength and rapid onset of effect from isolate or full-spectrum oils is impossible – and the high doses required to even approach the same plateau of effects would be expensive. The fact that’s it’s tested to be THC-free makes it good choice for those who require potent, non-psychoactive Cannabinoid Therapy while subject to drug testing. Brett Borders is a natural health copywriter specializing in nutritional supplements and CBD products. Please check out my work. Please don't hesitate to contact me if you need high-quality sales and marketing help for your nutritional supplement or CBD brand! Where can you buy it? is it also sold locally? Do you know if they ship world-wide? Unfortunately, both the manufacturer and the shop did not respond to emails. I need something to replace quicksilver’s cbd oil as it is too expensive. How fast was their shipment? Burman’s shipped promptly. Nadasol is a viable / good replacement for Quicksilver Scientific Colorado Hemp Oil. I have to say that I’m not very impressed by the change I’m seeing from quicksilver’s product. Although I never tried any other CBD oil, this is why I’m looking for another solution, I might need a higher dose than 2drops x 2/day to feel a change. Have you ever tried Nuleaf/Lazarus Naturlas? What other of high absorption/high potency oils you tried? You may need require a “full dose / serving size” – consult the product bottle for details. I have tried similar (low absorption) “full spectrum oil” products to Nuleaf / Lazarus. The thing to keep in mind is that CBD is scientifically proven to work in doses of 300 – 400 mg. The minimum dose for prescription CBD (epidiolex) is 187mg per dose, twice a day. Right now I find Nasadol to be the best potency to cost ratio.